In Red at Night, Stella and Jonah are total opposites. She's the girl with purple hair from the wrong part of town. He's a high school senior who hangs with the cool crowd. Until a car accident leaves him haunted by guilt, and Jonah starts spending time at Stella's favorite refuge… The local cemetery. Stella knows she should keep her distance, after all, she spent her girlhood being bullied by Jonah's friends. Once he's sorted out his tangled emotions, Jonah won't have time for her anymore. Too bad she's already fallen for him. When Stella first sees Jonah in the cemetery where she spends her free time, she can't help but wonder if there is anywhere left where she can find peace. It may not have been Jonah himself, but his best friend Connor has always made life all the more harder, having called her Trash Can Girl since the third grade. Jonah didn't always laugh, but he didn't speak up either. Now he's encroaching on her space, and she'll be damned if he'll weasel himself into her life as well. Jonah visits the cemetery daily, ever since the night of the accident that has changed his life forever. Jonah's life had always been easy up until that point, a beautiful home, a wealthy family and equally as obnoxious friends. But Stella is the polar opposite. Since her dad left town without looking back, she finds herself living with her fathers latest former girlfriend, lucky to have a roof over her head at all and each day is a struggle to stay above the poverty line. With very little in common, the two teens share a bond at the cemetery, where they are able to talk and forget who they both are, even for a few brief moments. As their friendship begins to move in a new direction, it's about time they knew what secret the other is hiding. For Jonah, it's that fateful night, but for Stella, it's the world she lives in. But before romance can bloom, Jonah has to face best friend Connor who gives him an ultimatum, it's him or the girl. I love Katie McGarry, and this powerful and touching novella has only cemented her place on my bookshelf. She can turn a concept into an emotionally changed storyline that captures your attention and holds on until the final page. In a series of novellas called More Than Words, also free to download from Amazon or from the Harlequin Blog, the More Than words program celebrates the active role women play in the community to change peoples lives. Katie McGarry's contribution celebrates Nikki Berti, the founder of Goodie Two Shoes, a program in which gives children new shoes, who couldn't normally afford a pair of new shoes that fit. Nikki's charity is integrated within the storyline, as the organisation that Stella could always rely upon. They made a huge difference in her life over many years, and together she shares the experience with Jonah of giving back. Not only is it a truly worth cause, but Harlequin should be applauded for celebrating these women in our community that make a life changing difference to those less fortunate. I wanted more. I would love to see Jonah and Stella's story told more in depth. 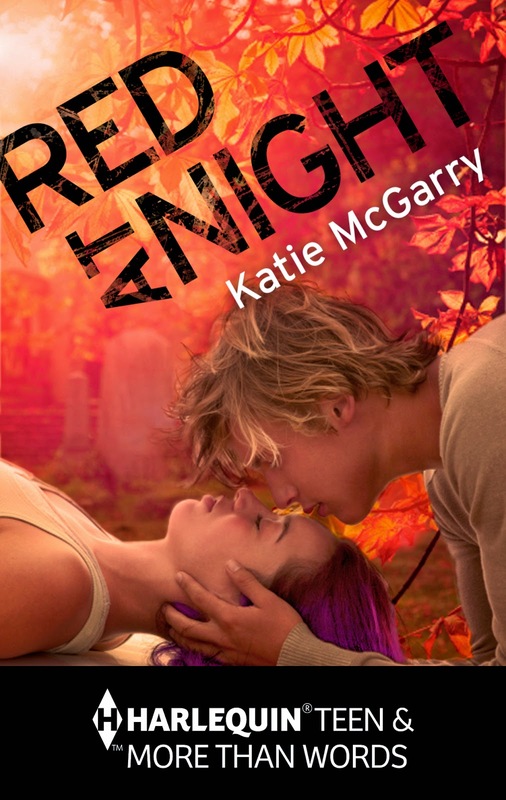 Katie McGarry is by far my favourite young adult contemporary romance author, and with her Pushing the Limits series, I absolutely loved this little read. I love Katie McGarry too! I'm so glad you enjoyed this one. I have it waiting on my Kindle. Are you planning to read the other two novellas in the More Than Words series? Great review!! I'm reading 'Pushing the Limits' for the first time at the moment and sadly I'm not getting the hype! :( Glad you loved this one, though! I really did enjoy this one, too. I really think that for a short story, it packed in a punch! Beautiful review, and it's such a wonderful cause that Harlequin is supporting. I've got this waiting for me to read as well, so I'm excited to get into it! Great review Kelly, I'm so jealous you got to read this one! I have only read Pushing the Limits but it wasn't THAT amazing to me. I think the series might get better though.